Trying out a fork of Itty Bitty sites. 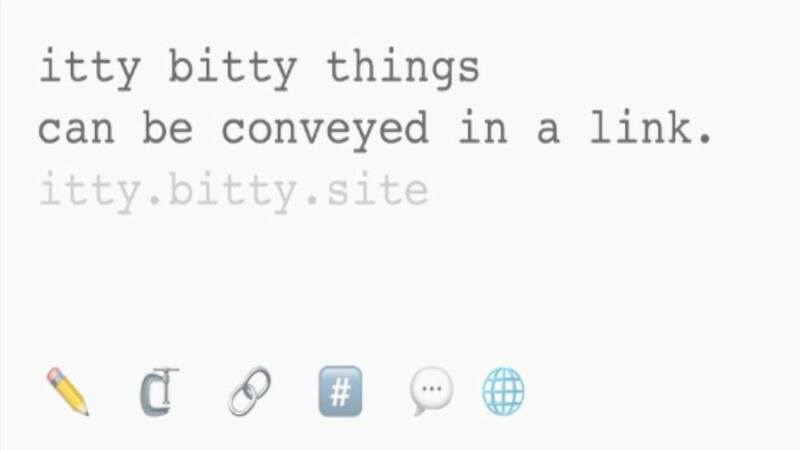 Former Google designer Nicholas Jitkoff, who’s now the vice president of design at Dropbox, has created a really nifty new web tool he’s calling itty bitty sites, or self-contained microsites that exist solely as URLs. Seen the Martech Landscape or Martech 5000? Wish you could arrange your logos without the the risk of carpal tunnel or dreaming in digital logos? That’s what were working on here…. uploading alpha version soon.